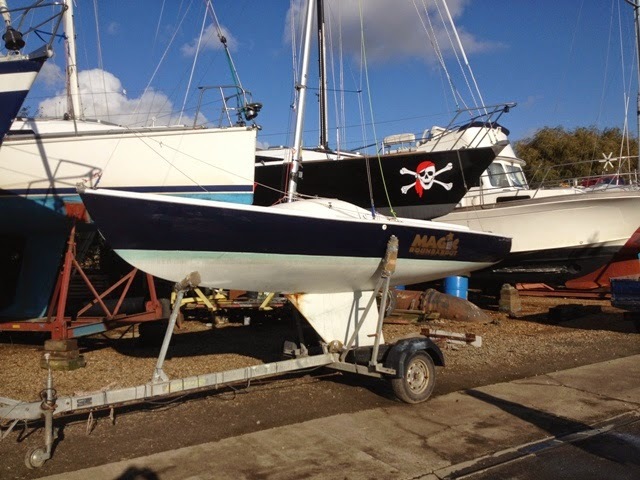 Squib racing is still in pretty good shape, but trawling the NET I have discovered that the boat is no longer being built, and the builder’s licence has been revoked* by the RYA. If anyone has more up-to-date news on this, please let me know. Incidentally, it is stated in a letter**** from the Chairman of the Squib Owners Association that Squibs are safe. (1) I think this should be qualified, because there is a YouTube video*****showing an incident that occurred at Thorpe Bay when a Sandhopper - a twin keel version of the Squib - capsized and sank. Any boat with an open cockpit is never completely safe. Many years ago a Dragon Class Yacht sank at Torbay whilst racing. She took a large wave, filled and sank. 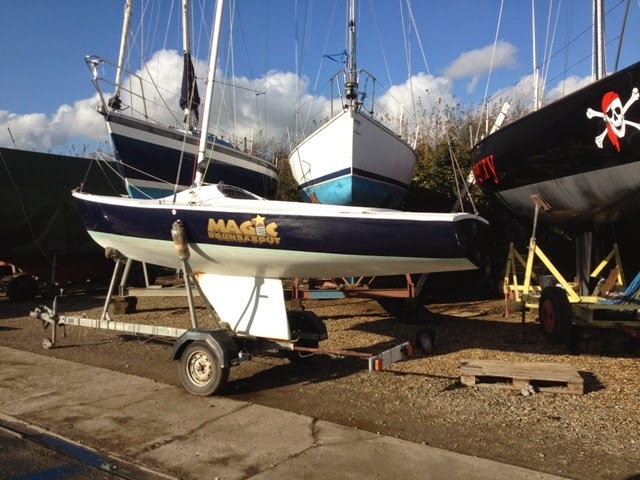 When racing at Thorpe Bay, I saw at close quarters the sinking of an Alacrity twin keel yacht. She, too, took a wave over the cockpit, and within seconds the crew were floundering in the water, and the yacht had completely disappeared. Fortunately both crew members were wearing life jackets and they were picked out of the water within minutes. (1)In the penultimate sentence Jenny Riley uses the words, ‘………… fair and safe sailing with like minded, helpful, and fun-loving people.’ I understand what she is saying, but when there are strong winds and breaking seas there is always an element of danger.